BlackBerry launched its new Radar H2 intelligent asset monitoring device at the American Trucking Associations’ annual Technology and Maintenance Council meeting on March 18th. The Radar H2 can help automate operations, improve the utilization of trailers, containers, chassis and other remote assets, and ensure the safety and security of assets. BlackBerry’s Radar H2 expands on the company’s other products, like the Radar-M. The H2 provides enhanced coverage and connectivity to 4G LTE cellular networks. Additionally, it features a wireless gateway that can connect to other wireless sensors, such as cargo sensors, tire pressure monitoring systems, brake sensors and weigh-in-motion devices. On top of this, BlackBerry says the H2 can detect when a container is either ‘on’ or ‘off’ when mounted on a chassis, without the use of additional wires or external sensors. “For the intermodal and trucking industries, timely and accurate information on asset location, performance, and utilization improvement has never been more important,” said Christopher Plaat, SVP and GM of BlackBerry Radar. Further, Plaat said the H2 will offer quick, 10-minute installations, long-lasting battery life and require low maintenance. BlackBerry Radar H2 can collect up to 100 times more data than conventional GPS-based tracking systems, according to the company. Plus, H2 can provide that data in near real-time through an online dashboard. 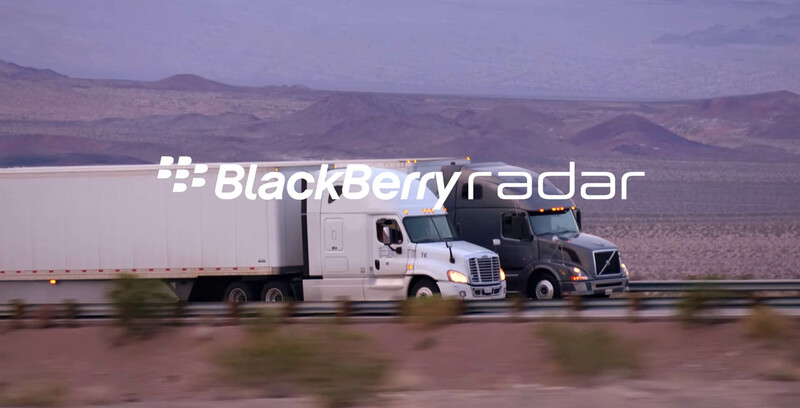 You can learn more about BlackBerry Radar H2 on the company’s website.